If you want to get started working at home as a home-based (or virtual call center agent), you’ll need to know the lingo. Here are a few terms you may encounter as you research this work-at-home career field. For call center agents the phrase “talk time” has another meaning, outside of their cell phone plan. In a call center, talk time is the amount of time the agent spends with a customer on the telephone. It begins with the initial greeting and ends with the disconnect. Many metrics are developed to measure different aspects of talk time, and agents are evaluated on these. However, it is also typically used to determine an agent’s pay, either the base pay or the incentive bonus pay. Call center pay structures vary--some pay on an hourly basis and some pay on a per-minute and per-call basis. In the non-hourly pay structures, agents are paid only for talk time, not for time waiting for calls. In addition to sales commissions and bonuses, incentives, another aspect to both hourly and per-minute/per-call pay, can be based on various metrics that involved talk time. While the metrics below are often used by managers to measure the performance of a whole center or a group, these can be applied to individuals as well. Average talk time - the average number of minutes an agent is on the phone with each customer. An inbound call center is a call center where telephone agents field only incoming phone calls for a company or organization. 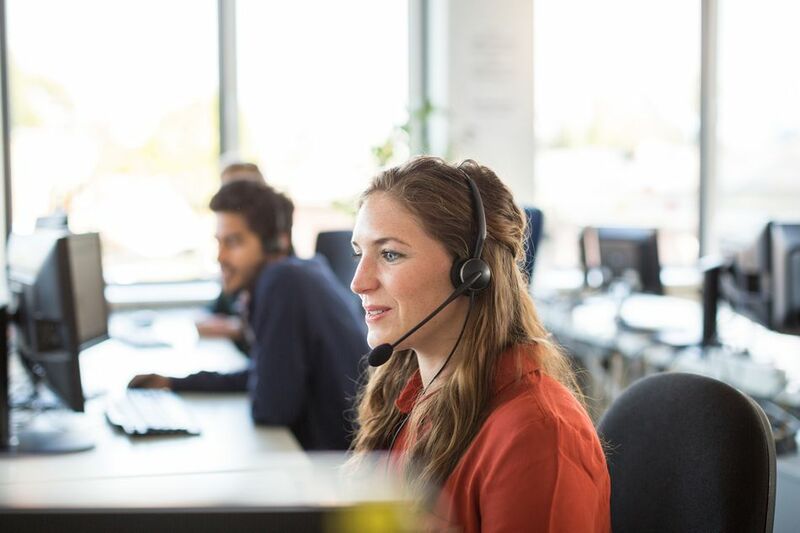 Inbound call center agents often provide customer service or technical support to callers but can also sell products and services or make appointments. An inbound call center may be a traditional call center or a virtual call center. An outbound call center is a call center where telephone agents or telemarketers only make outgoing phone calls for a company or organization. Outbound call center agents typically are selling products and services or making appointments. An outbound call center may be a traditional call center or a virtual call center. Telehealth means the delivery of health-related services by way of telecommunication technology. The technology could include telephone, video conferencing and email. It can distinguish between a patient and a healthcare professional or between healthcare professionals. Telehealth encompasses the subjects of telemedicine, telenursing and telephone triage. Remote case management and giving health advice or information by phone are some telehealth jobs often performed by nurses. Telehealth does not necessarily mean telecommuting for the healthcare professional, though it can. Telehealth can also be known as telemedicine or telenursing. Telephone triage is when a medical professional, usually a registered nurse, speaks by telephone to a patient and assesses the patient's symptoms or health concerns and offers advice. This is done utilizing clinical protocols that help the nurse determine the severity of the patient's health issues and rank them according to urgency. Telephone triage nurses educate patients and guide them to appropriate care. Telephone triage services are offered by health care facilities, often for physician's offices to take calls from patients trying to contact the doctor. Telephone triage does not necessarily meant telecommuting for the healthcare professional, though it can. Telephone triage falls under the broad umbrella of telehealth. It can also be known as phone triage, telephone nurse triage, telehealth, telenursing, and teletriage. A traditional call center is a central location where telephone agents, or operators, make outgoing calls or field inbound calls for a company or organization. These calls may be customer service or sales calls. Agents in call centers may specialize in one type of call or may take only one type.